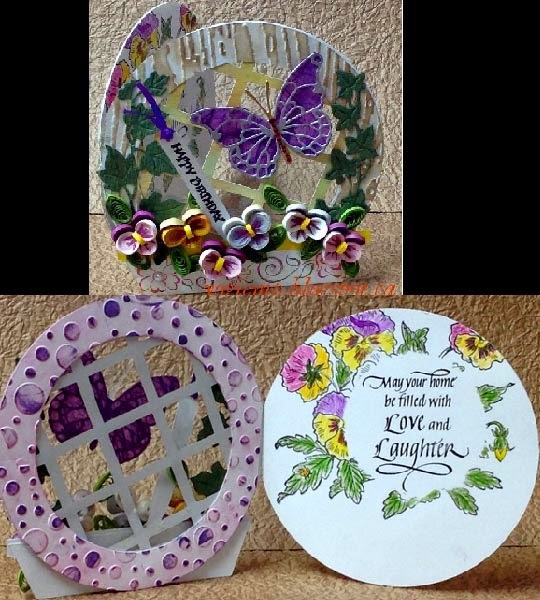 I saw some quilled pansies on Pinterest and decided to make some of my own. I'm also using my own eCut 1/16"w quill strips. Anyway you can see all the details and descriptions and more views etc, by clicking on any card image - Enjoy. Oh, my gosh, those little pansies are adorable! 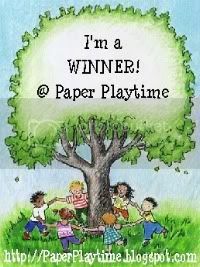 So colorful and cute, and such a creative card design. Love it! Wow wow wow!!! This is gorgeous! Thanks for playing along with Frosted Designs!!! 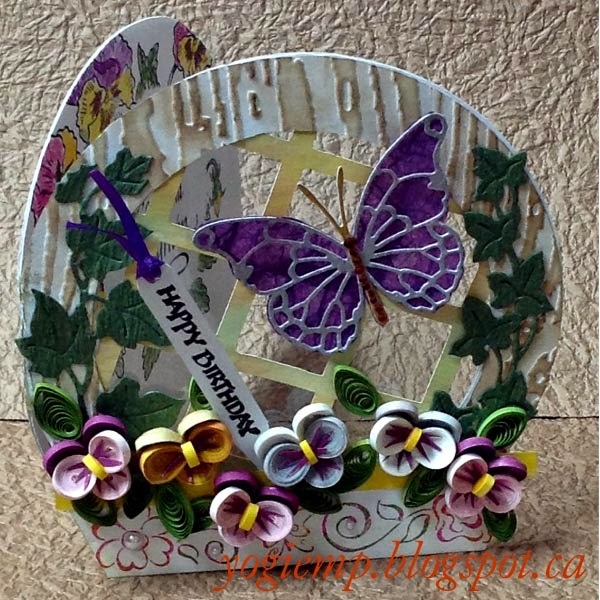 Lovely card, super flowers and beautiful colours, thanks for sharing at MTTC this week. What an amazing project! 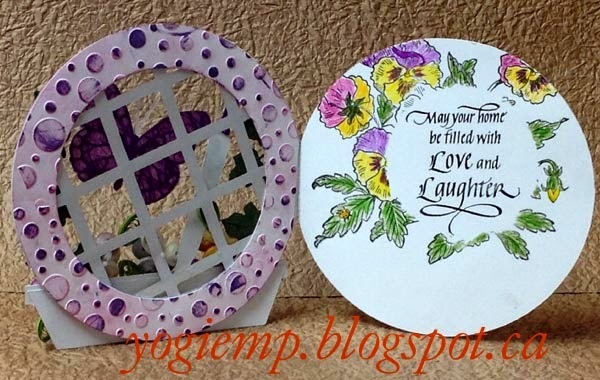 Love the lattice and flowers! 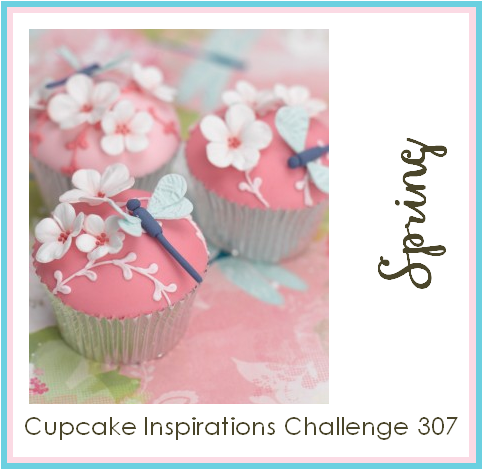 So glad you were inspired to join our Spring Challenge at Cupcake Inspirations!